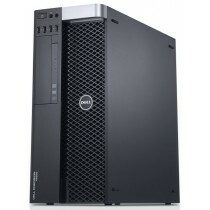 Every Dell Precision workstation is designed for professionals with technical engineering, computer aided design (CAD), animation, digital imaging and other high-end graphics-intensive occupations in mind. Working closely with independent software vendors (ISVs), Dell ensure that their marque systems deliver productive, reliable performance across wide range software and applications. Whether you're building 2-D or 3-D models or multitasking with demanding applications, Dell has a Precision workstation to power through your tasks with ease. 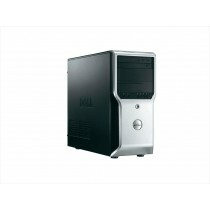 The single socket entry-level Dell T1600, T3500 and T3600 provide unbeatable price/performance characteristics for smooth, graphical operation without breaking budgets. With the Precision T5500 and T7500 comes dual socket Intel Xeon Quad Core / Hex Core capability and enormous expansion options. 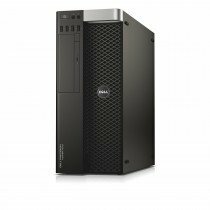 Sharing the same chipset architecture as the Dell PowerEdge server range makes these two Dell powerhouses more than capable business tower servers. Later generation T3600, T5600 and T7600 workstations introduce Intel Xeon E5-2600 V2 (LGA-2011) series capability and additional memory capacity, with up to 512GB RAM for ultra intensive virtualization tasks. 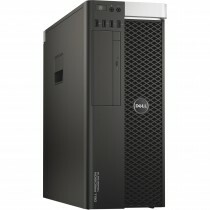 With the Bargain Hardware configure-to-order (CTO) selection process you can customize your refurbished Dell Precision workstation to create a high-performance PC that meets all of your needs at prices you’d expect from a desktop PC. If you can’t find what you’re looking for or would just like to chat to our sales staff then please get in touch either via livechat, contact us email or by phone on 01254 878 801.